Looking to make a few new additions to your jewellery box this winter? Browse the latest trends to pick your favourites from the 2012 collections. With The Great Gatsby wrapping up filming in Sydney in recent months, Australian wardrobes have taken to flirting with flapper style fashion influences. 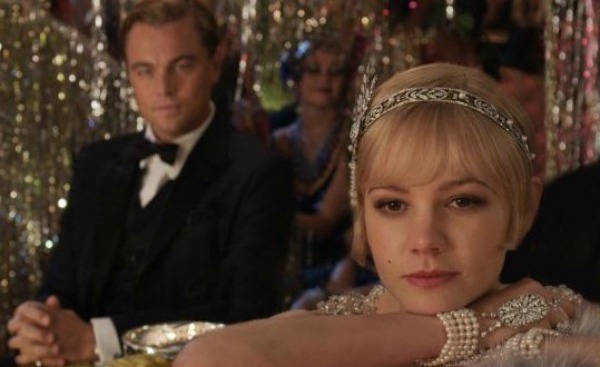 Set in America in the 1920s, the novel-turned-feature film stars the beautifully elegant Daisy Buchanan (played by Carey Mulligan), who is always adorned with glittering pieces of jewellery sure to get your fashionable heart beating. The flapper style features plenty of gorgeous hair jewellery, such as sequin headbands and glittering hair pins. Oversized rings, jewelled brooches and beaded necklaces were also popular in the era and are now seeing a resurgence in 2012. Big, bold pieces are back, so shop around for statement pieces like dangling chandelier earrings, sparkling pendants and long strings of pearls. Metallics are popular in the gloomy months and can help to bring a bit of sparkle and life to our dark winter wardrobes. Silver chokers look gorgeous slipped over a classic black tee or under a winter coat. If you feel that a choker isn’t flattering for your neck shape, try a more feminine, thinner band that sits lower than the traditional choker to make your neck appear longer. Following on from the flapper influence, feathers have also made a comeback in 2012. Opt for a classic 1920s feathered headband or a dainty feather hair clip to add a bit of colour and movement to a classic bob or simple hairstyle. Alternatively, the feather trend is also making a mark in the form of tribal-inspired jewellery. Exotic pieces sought from international suppliers are proving popular this year, with beads, wood and feather embellishments featuring prominently on bangles and necklaces. Their bright colours are also great mood-enhancers on a miserable winter’s day. Another jewellery trend we’re seeing in 2012 is multilayered necklaces. Make a feature out of long strands of pearls or beads, or layer a few different necklaces on top of each other for a unique, individual look. Try layering identical necklaces (such as beads) in different colours to create a bright accent on a plain outfit. Stones such as amber, turquoise and ruby always attract a loyal band of followers, and now with the Great Gatsby influence inspiring a move towards extravagant gems, birthstones are gaining even more popularity. Choose a gemstone to match your birthday or simply pick a colour you love.